It may not have been that scientists themselves held any conscious intent to be counterproductive to their own profession or the education of the general public. However, in many ways, it does appear that at some level of either science or scientific publication, there has been an active attempt to censor the true scope of scientific and technological advancement—both on and off planet. This is not at all ordinary within the world of scientific research, and many believe this apparent turn of focus on a proverbial dime indicates the possibility that at some level, "someone" already knew these topics were valid and substantial. However, due to the (alleged) choice by certain clandestine interests to maintain blanket secrecy, the public side of science ignored them. We will discuss more on these subjects in a moment. Right now, let's consult what could be considered one of the most revealing articles to be published in mainstream media in a long while. This is Business Insider with a remarkable discussion of a scientific discovery about the asteroid belt within our solar system. Per the typical rhetoric of such disclosures, the discovery is claimed to be "new." 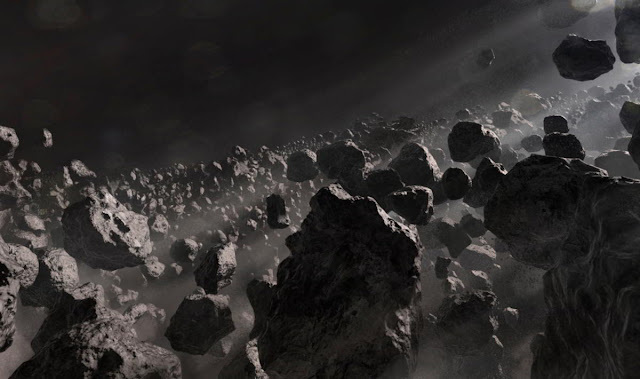 The scientists managed to conclude that the remains from the asteroid belt were once planets of their own, so-called "planetesimals", estimating that there could have been at least five. This changes what we'd previously assumed and brings to light other theories on the formation of planets. Until now, most researchers assumed planets grew over time. However, scientist[s] at the Southwest Research Institute David Nesvorny put forward the following theory: "It means asteroids are born big." We may realize the simple fact that valid science does not typically avoid responsible consideration of unexplored possibilities to this degree without being compromised in some way. To add, it's difficult to imagine why an intelligent species would be presented with so many suggestive clues of possibility without seriously and consciously considering those possibilities, unless, in some way, they were overtly discouraged from doing so. When a scientific establishment is presented with multiple earths' worth of massive space rocks, a variety of moon-sized planets, and multiple oceans' worth of frozen water in the form of comets, and yet refuses to seriously consider the likelihood that these fragments once composed one or more actual planetary bodies in our solar system, we know the likelihood that at some level, someone is not being completely honest. Yet for whatever reason, the scientific establishment has chosen to ignore this evidence for decades on end.